What are your favorite Japanese noodles? Today we’ll take a look at two popular Japanese noodles – Soba and Udon Noodles – and learn more about how these noodles are made, the difference in flavor, and how they are eaten. Along with rice, noodles are undeniably the main staple of the Japanese diet, central to everyday life from quick lunches to iconic festival dishes. While there are a wide variety of noodles available in Japanese cuisine, in this article we’re going to talk about soba and udon, the two iconic noodles that are not only popular in Japan, but also increasingly common overseas. 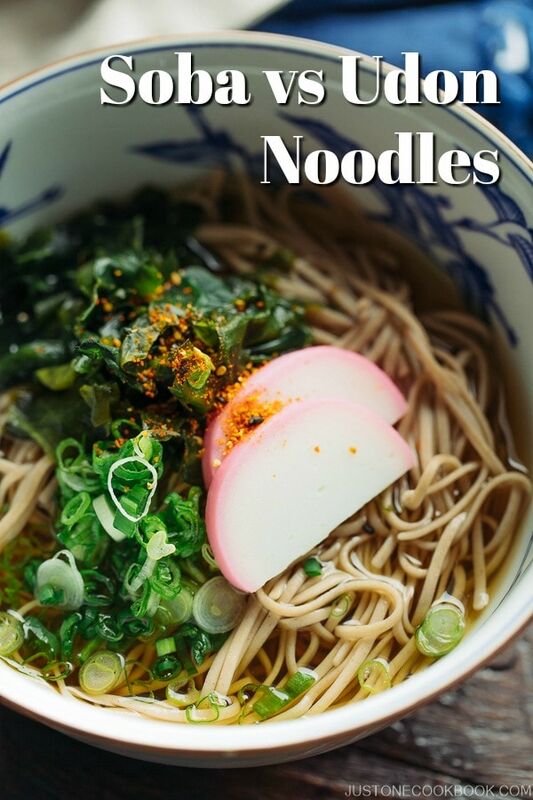 When we mention soba noodles, it is commonly referred to a type of thin noodles made from buckwheat flour, or a combination of buckwheat and wheat flours. It is also worth mentioning that in Japanese, soba (そば) means “noodles” in general. 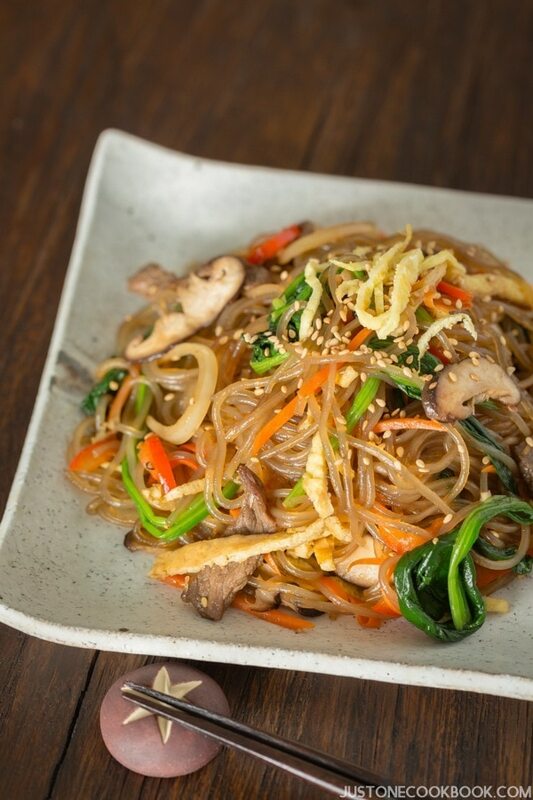 Some examples would be the Japanese stir-fried noodles Yakisoba or Okinawa Soba, which do not use buckwheat noodles. However, more often than not, soba noodles refers to buckwheat noodles. Soba noodles are thin and delicate, and a couple of inches shorter when compared to spaghetti noodles. They generally have a light or dark grayish-brown color, with an earthy and deep nutty flavor. Because of its distinctive natural taste, with a slightly grainy texture, soba is best enjoyed with a mild broth or a simple dressing. To truly enjoy high-quality soba, you don’t want to overwhelm it with other flavors, but instead allow the subtle nutty flavor of buckwheat to shine through. 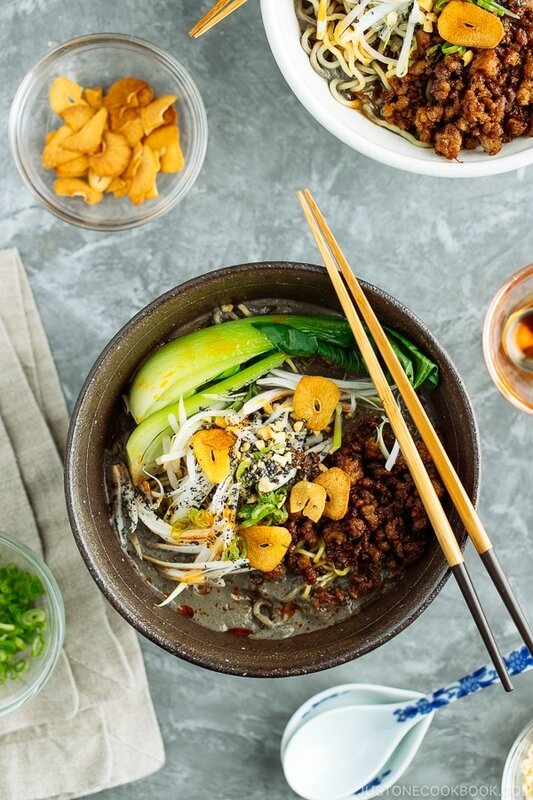 Low in fat and calories, soba noodles have become a popular choice for people who are on low carb diet in the recent years. 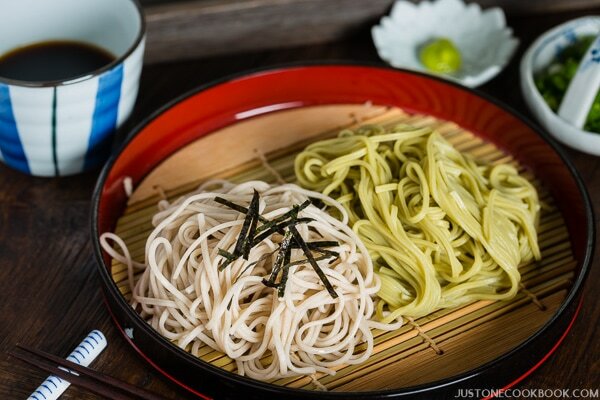 Buckwheat flour – the core ingredient to soba noodles – is known to offer many health benefits and is particularly rich in nutrients like vitamin B, fiber, iron, protein, and carbohydrates. The noodles itself are also refreshing, restorative and energy-boosting. Since buckwheat is a gluten-free grain, it’s a delicious alternative for those who are unable to consume wheat. However, do take note that not all soba noodles are 100% percent gluten-free. Majority of soba noodles available outside of Japan is made of a mixture of buckwheat and wheat flour. If you’re gluten intolerant, be sure to check the ingredient list and make sure it’s 100% buckwheat noodles called Juwari Soba (十割そば). Soba noodles are commonly sold in dried form. A typical package comes with 3 to 6 bundles of noodles. You can also find fresh soba in the refrigerated sections and frozen soba in the freezer sections at the Japanese or Asian grocery stores. If you are looking for soba noodles from Japan, find the word そば on the package. Some Japanese grocery stores offer Juwari Soba (十割そば) that is made of 100% buckwheat flour. 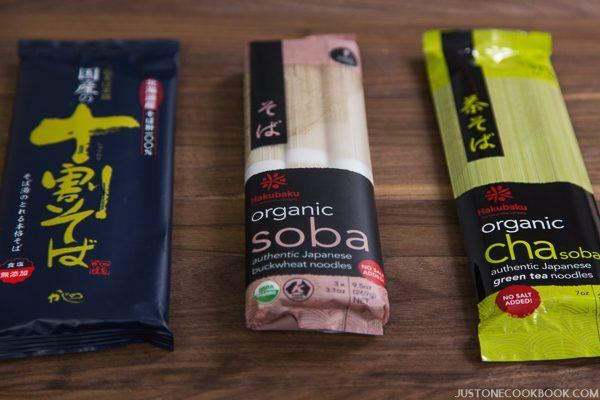 In the US, you can find some of the common brands like Hakubaku Organic Soba or Eden Foods Soba (100% buckwheat) available online or at your local grocery stores. 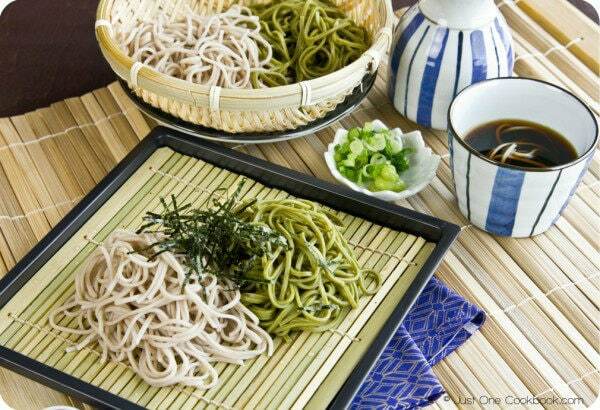 Wish to learn more about Soba Noodles? Click here. What are Udon Noodles (うどん)? Made by wheat flour, water and salt, udon noodles are recognized for its thick, glossy and creamy white appearance. These white noodles are much thicker and chewier than soba noodles, but are equally delicious and versatile. Udon noodles can be served in a hot broth as a noodle soup, or in a thick curry sauce or enjoyed cold with a dipping sauce. It is also delicious when stir-fried with vegetables and meat or even deep-fried into some crunchy noodle snack (in Kagawa prefecture where udon is their specialty). Udon noodles have a mild flavor with a springy, doughy texture, which makes it a versatile noodle to cook with. There is also a bouncy quality to the noodles, especially the freshly made ones. 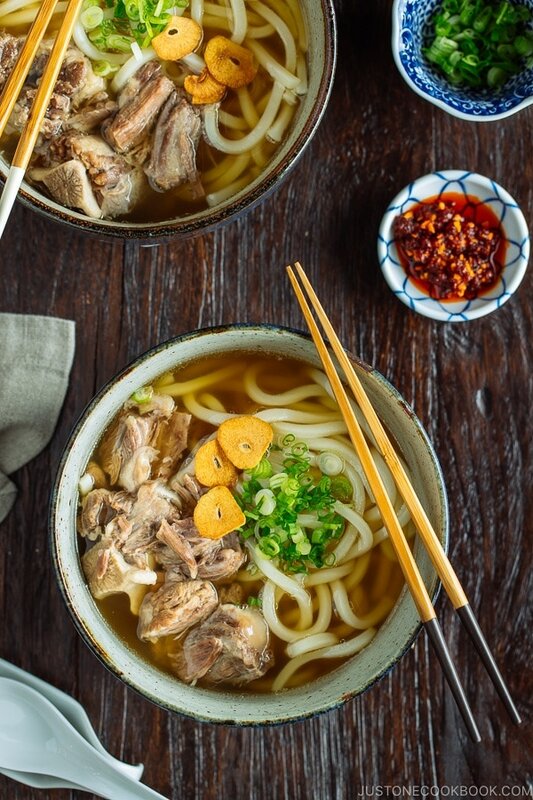 Because of its mild flavor, udon can take on any flavors and textures with an incredible flexibility, like a good friend who doesn’t mind to sit back and gives its best support. Where to buy udon noodles? Udon noodles are sold dried, fresh or frozen. 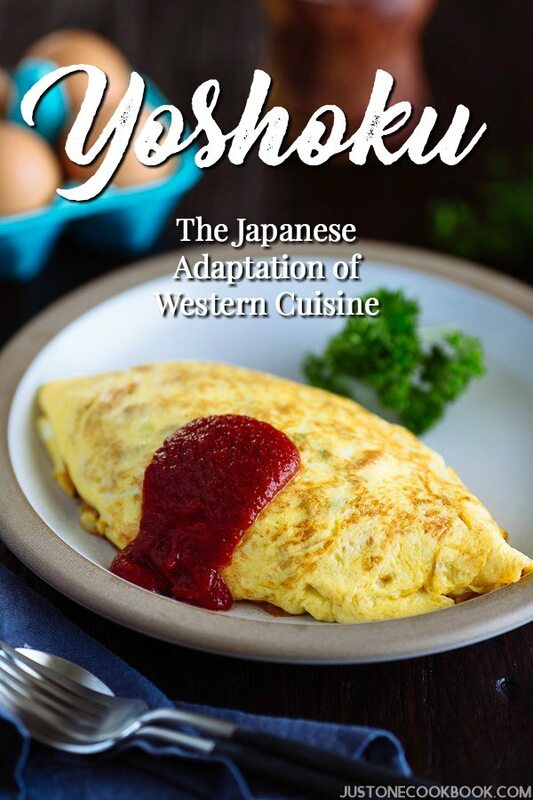 They are available at Japanese and many Asian grocery stores. Thanks to its rising popularity, you can even find them at major American grocery stores these days. The dried noodles are a convenient choice, but the fresh options have the best texture. 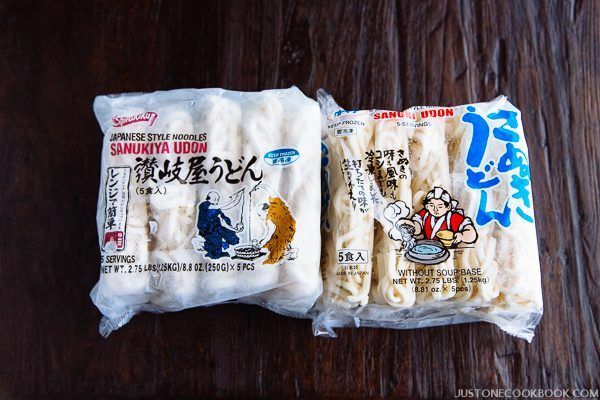 Our recommended brand of udon noodles is the frozen package called “Sanuki Udon”. You can purchase it in the freezer section of Japanese supermarkets as well as some Asian supermarkets or online. Wish to learn more about Udon Noodles? Click here. Do you know udon noodles is one of the easiest Japanese noodles to make at home? All you need is flour, water, and salt. Ready for some footwork? Watch this video and you’d be surprised how easy & fun it is to make your own homemade udon! While soba and udon are enjoyed throughout Japan, both noodles can be quite different in terms of taste, shapes, preparation and presentation from region to region. 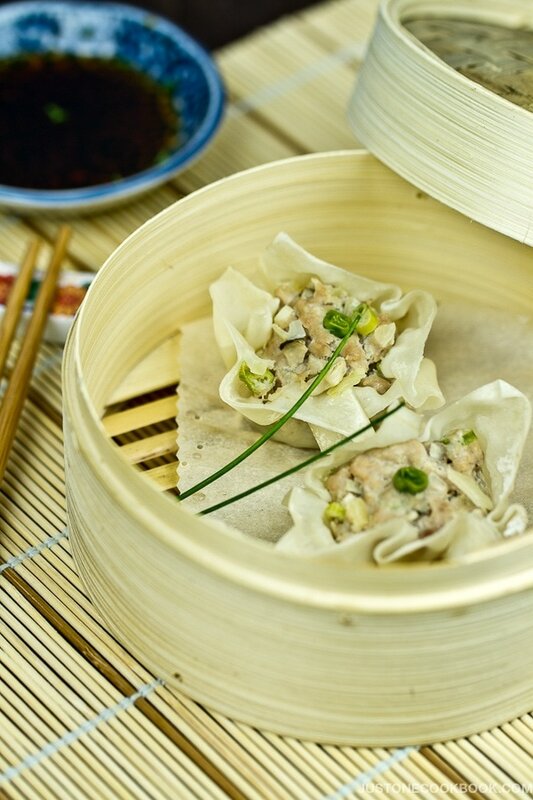 One of the main features that distinguish the differences between region is the noodle dipping sauce called tsuyu (つゆ) or mentsuyu (麺つゆ). 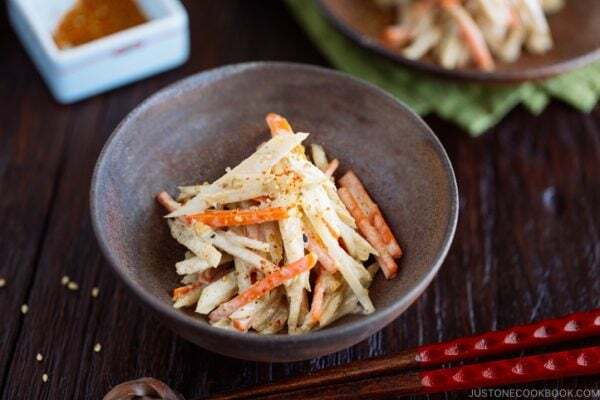 In the Kansai region (Osaka area), the stock for tsuyu is made from kombu seaweed with a lightly flavored soy sauce (usukuchi) for a milder flavor. Whereas, in Kantō region (Tokyo area), the stock is made from katsuobushi (dried bonito flakes) along with a strongly flavored soy sauce (koikuchi) and mirin, so the tsuyu is much darker with a stronger flavor. Wish to learn more about Mentsuyu? Click here. Served cold during the summer months, the noodles are presented on a bamboo sieve (zaru) or wooden box called seiro, and the tsuyu sauce is served in a separate container for you to dip the noodles before eating. Here’s our Zaru Soba recipe for you to make at home. For kake soba and kake udon, the noodles are served hot as a noodle soup, in a broth called kakejiru (かけ汁), which is made of dashi, soy sauce, and mirin, and topped with thinly sliced green onions and sometimes a piece of kamaboko (fish cake). The simplicity of this preparation highlights the texture and flavor of the noodles and broth. 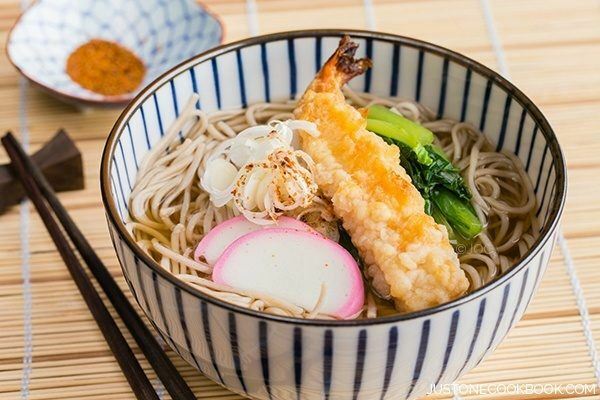 Tanuki soba or udon is topped with crunchy tempura bits called tenkasu and can be served hot or cold. 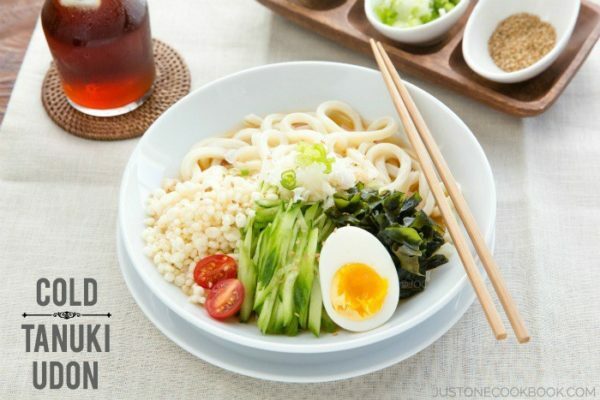 Here’s our refreshing Cold Tanuki Udon recipe for you to make at home. 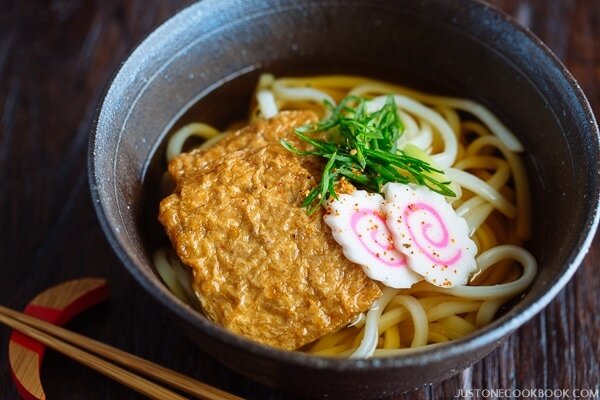 Kitsune Soba or Kitsune Udon is a dish of hot or cold noodles topped with a thin sheet of deep-fried tofu pouch called aburaage or Inariage. Here’s our Kitsune Udon recipe for you to make at home. Did You Enjoy Learning about The Differences between Soba and Udon Noodles? Whether you are more partial to the nutty buckwheat flavor of soba noodles or the thick chewy udon, there is a lot to discover for these well-loved noodles of Japan. 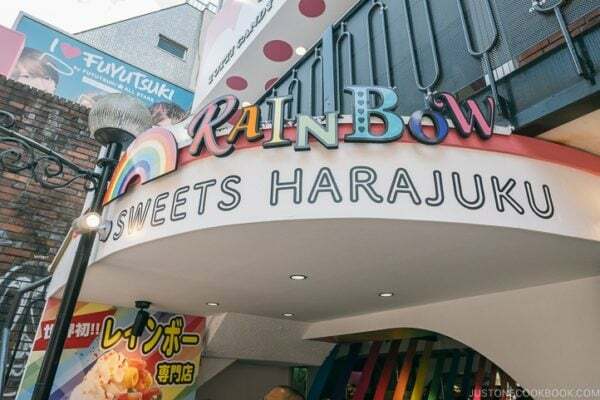 If you plan on traveling to different regions of Japan, don’t miss out the local specialty noodle shops and try out their soba and udon. Glad to hear that, Pansy! Hi Ron – let us know when you get your ‘foot’ on udon making. Have fun! Hi Nami! Thank you for your wonderful recipes! I was wondering if you know of a suitable (and delicious) alternative to shoyu. Too much salt, especially MSG, gives me migraines and I miss udon, soba and somen. I’m glad to hear that you enjoy my recipes. I understand your concern about the level of sodium in your diet. A good quality of shoyu doesn’t contain MSG, so that’s something we wouldn’t have to worry about. Salt and shoyu are essential in bringing out flavors of the dishes. They are also good for us unless they are overly used. That is why home cooked dishes are so much healthier where we can control the amount of seasonings. Dishes would be bland without them. So, feel free to reduce the amount of salt/ shoyu if you’re following my recipe. 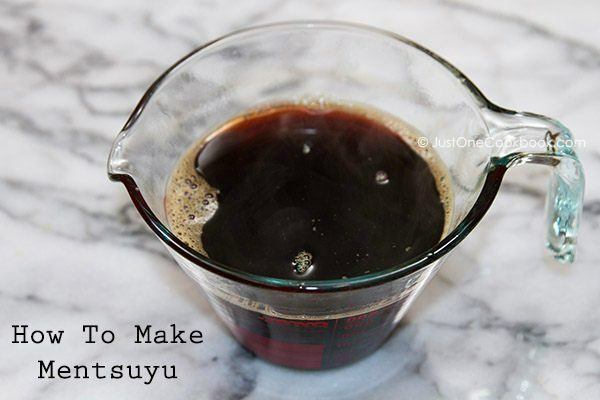 There are some healthy choices of salt and substitute for shoyu you can try. For salt, you can look up Himalayan pink salt online. For shoyu/ soy sauce, some people recommend Bragg’s Liquid Aminos. It’s lower in sodium and contains amino acids. 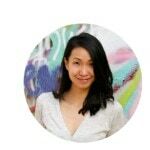 Depending on the recipes, you can also use more aromatics such as ginger/ garlic/ black pepper/ green onions or ingredient like shiitake mushrooms to bring out the flavors. Spices & herbs are a good way to make up for the flavors if you cut down on salt. Hope this helps. Thank you! Really appreciate your knowledge and talent! Hi Thomas – Somen is considered a type of basic Japanese noodle, made with wheat, water, and vegetable oil. The key feature is its thinness, usually less than 1.3 mm in diameter. Similar to some udon, somen noodles are stretched when made. The noodles are usually served cold with a dipping sauce. But you can also serve it warm in soup. Love both, use both but was very glad to learn so much I did not know about both the soba and udon noodles . . . I prefer the buckwheat soba but must admit I have not eaten epithet cold! Living in Australia we can get both in their dried form even in the smallest supermarket . . . have to see whether anyone makes them fresh. Thank you, Reese ! Glad that you enjoyed the article, Eha. Apparently, the rising demand for udon has been benefiting the Australian’s wheat farmers. Yeah, it would be so nice to cook with fresh noodles, whether it’s soba or udon. Have you tried making udon from scratch with Nami’s recipe? I already receive your wonderful letter. Thank you for your great ideas and recipes.